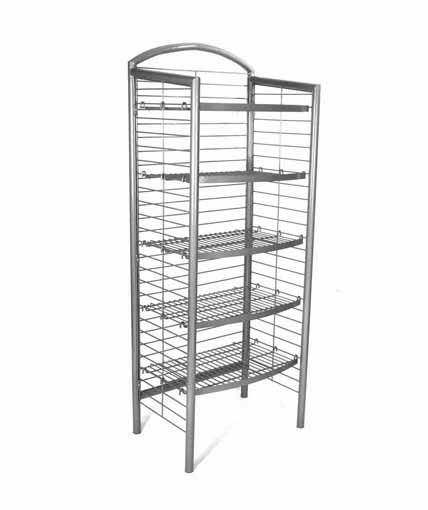 We offer an extensive line of stock floor shelf displays to meet almost any merchandising need. 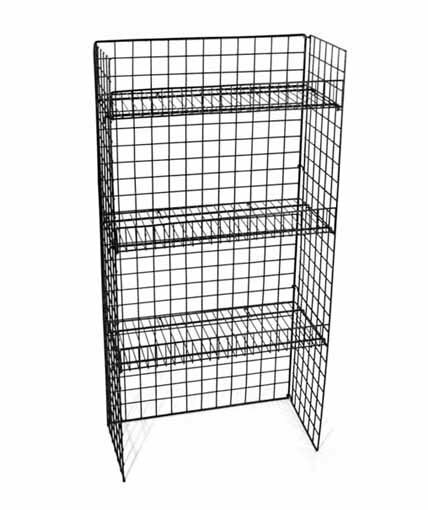 Our line includes a number of economical fold-out wire shelf displays as well as wood shelf displays, metal shelf displays, and combination wood/metal floor shelf displays. 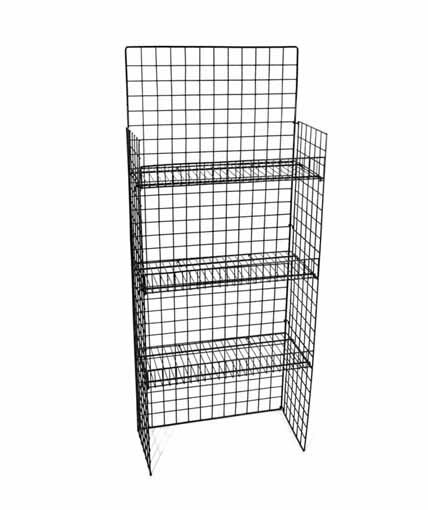 All of our floor shelf displays knock-down for economical shipping and storage. 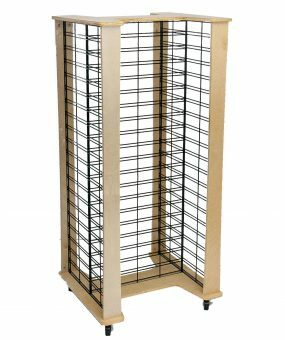 In addition to being used to merchandise products that sit on shelves, a number of our displays can also accommodate hooks and other merchandising accessories such as waterfalls, straight-outs, and baskets. 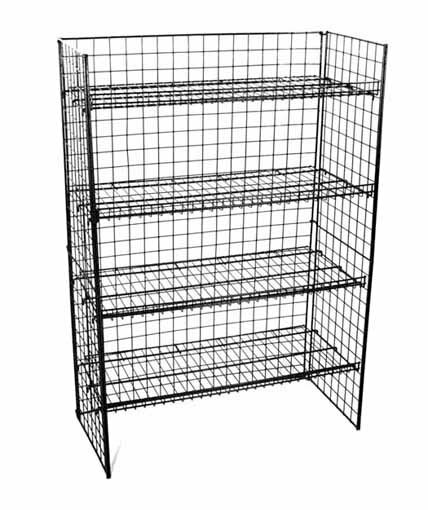 All of them can accommodate header signs, and many of them can also accommodate side signs. Our in-house graphics department can help you with signs to promote your brand. 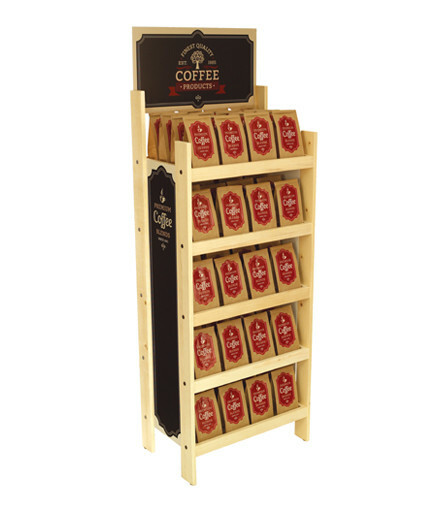 Our line of floor shelf displays is designed to meet almost any budget. 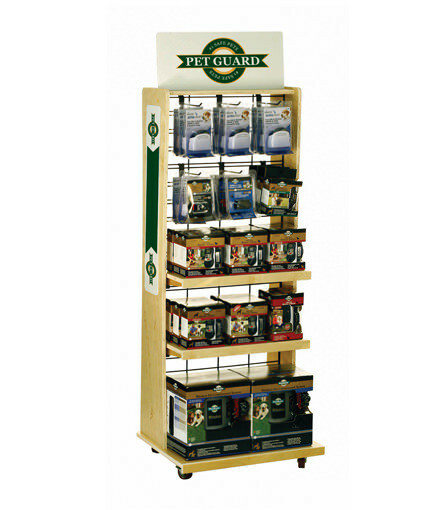 Our displays can work in a variety of retail environments, including convenience stores, grocery stores, mass market retailers, specialty stores, boutiques and gift shops, apparel stores, sporting goods stores, and many other types of retailers. 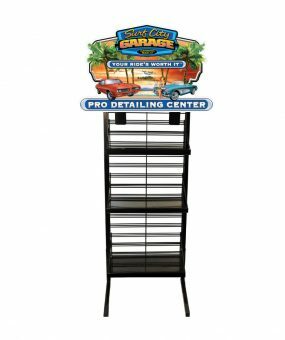 If you don’t see a floor shelf display that works for you, let us know, and we can design a custom display to meet your merchandising needs.